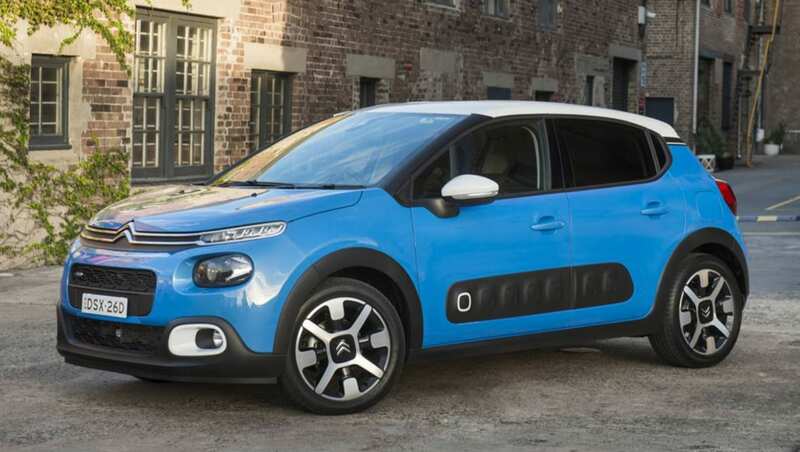 The Citroen C3 has arrived in Australian showrooms priced from $23,490 plus on-roads. Citroen has increased the price of its third-generation C3 light hatch by $500 over over the initial recommended retail price announced in October, with the all-new model kicking off from $23,490, or $26,990 drive-away until the end of the month. The C3 went on sale in November last year, but was only launched to the media this week. The price point for the single-variant line-up pits it against other European light hatches such as the Peugeot 208 ($21,990-$26,990), and Renault Clio ($15,990-$22,990). Its return to the Australian market marks the first time Citroen has offered a C3 Down Under since April 2015, with Citroen, under previous distributor Sime Darby Motors Group, unable at the time to make the C3’s price competitive against its Korean and Japanese rivals. 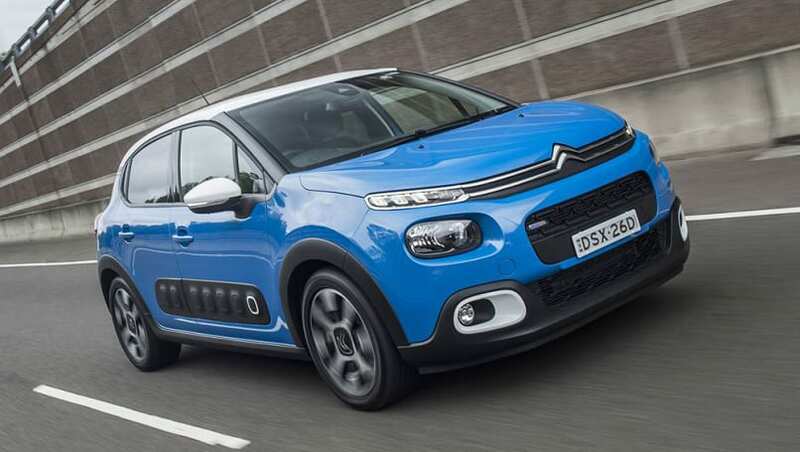 The C3 hatch is offered with unique styling along the lines of the C4 Cactus SUV, and will include the signature 'Airbump' door panels that help mitigate against damage when accidentally opening doors against poles and walls. Serious levels of customisation are available for C3 customers, with nine body colours and three roof colours equalling 33 exterior colour combinations, while the door mirrors, foglight surrounds, Airbump and rear quarter panels wear the same colour as the roof. The C3 went on sale in November last year, but was only launched to the media this week. The customisation continues inside, with buyers able to option the 'Urban Red' package that combines dark and bright colours with red stitching and surrounds, or the 'Hype Colorado' package that uses softer, upmarket materials, special upholstery and a leather-covered steering wheel. Asking price for the two packages stands at $150 and $400, respectively. 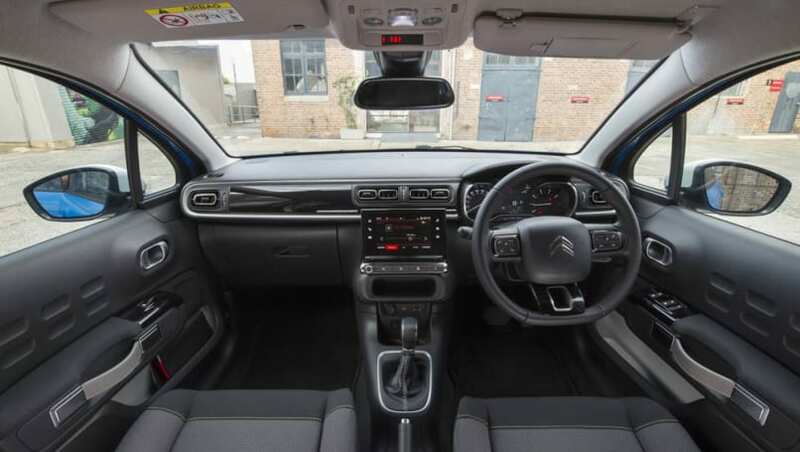 The C3 uses a 7.0-inch touchscreen multimedia system with Apple CarPlay and Android Auto compatibility, while buyers can option the $600 Citroen 'ConnectedCam', an on-board HD camera that acts as a dashcam, allowing users to upload photos and videos from their trips. Given it will be offered only in a single level of specification, dubbed Shine, one powertrain option is available – an 81kW/205Nm 1.2-litre PureTech turbo-petrol three-cylinder engine that drives the front wheels via a six-speed Aisin-sourced automatic transmission. Emphasis has been placed on occupant comfort with the 'Citroen Advanced Comfort' program, with the suspension, seats and interior layout all designed to optimise ride comfort. Standard safety equipment includes front, side and curtain airbags, lane departure warning, driver attention alert and traffic sign recognition, however autonomous emergency braking (AEB) is absent from the list. The 'Hype Colorado' package that uses softer, upmarket materials, special upholstery and a leather-covered steering wheel. From the start of 2018, any vehicle without AEB cannot score a five-star rating from the Australasian New Car Assessment program (ANCAP), however the C3 is yet to be tested by ANCAP, and CarsGuide understands that AEB will eventually arrive in Australian C3s in the future. Peugeot Citroen Australia national PR and corporate affairs manager, Tyson Bowen said that AEB was not initially available for Australian-spec versions of the C3. Citroen offers a five year/unlimited km warranty for the C3, with five years of roadside assistance included. Check out all 2018 Citroen C3 price and spec info here.